If you are constantly stressed-out due to work, relationships, family or any other situation, your adrenal glands may be working overtime. This can potentially cause fatigue and headaches. 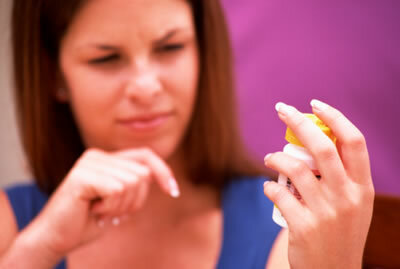 Treatment: Vitamin B Complex, Vitamin E and Vitamin C supplements can help with this problem. 2. IS MY IMMUNE SYSTEM UP TO BALANCE? Do you constantly find yourself catching colds and the flu more frequently than others? You may need to boost your immune system with vitamins and minerals which provide the nutrients needed to fight these viruses. Treatment: Vitamin C supplement, Zinc and Manganese will do the trick. I’m sure you’re aware that this habit is unhealthy but smoking uses up vitamin C and puts you at higher risk of osteoporosis. Treatment: Vitamin C supplements and calcium supplements will help reduce your chances of osteoporosis and provide you with the adequate amount of vitamin C.
Pregnant and hormonal women often lack in vitamin B-6. If you do not receive enough of this vitamin it can be harmful to you and your baby. Treatment: Take a vitamin B-6 supplement, but make sure not to take doses of more than 500mg per day without a Doctor’s recommendation. 5. AM I ON A DIET? If you are on a low-carb, low-fat or any form of diet you are probably not receiving the vitamins necessary for healthy living. Individuals on diets very rarely eat foods from all the major food groups and if they do, they usually do not eat the required amounts. Treatment: Depending on the type of diet and the foods you eat, you may require a multi-vitamin supplement or specific supplements of Vitamin A, B, C, D, E or K.
Answering YES to any of the questions above does not necessarily mean that vitamin or mineral supplements are crucial to healthy living. The situations listed above are merely a guideline to help individuals who already feel as though they are lacking the vitamins and minerals in their diets. It is important to remember that vitamin supplements are meant to accompany food and are in no way meant as a replacement for a healthy diet.